Duterte mentioned it in his SONA. (SPOT.ph) During President Rodrigo Duterte's State of the Nation Address on July 24, he asked the U.S. to "give us back [the] Balangiga bells." This was after he told the story of the bloody Balangiga Massacre in 1901 when American soldiers killed a number of Filipinos in Balangiga, Samar and took home three church bells as war trophies. 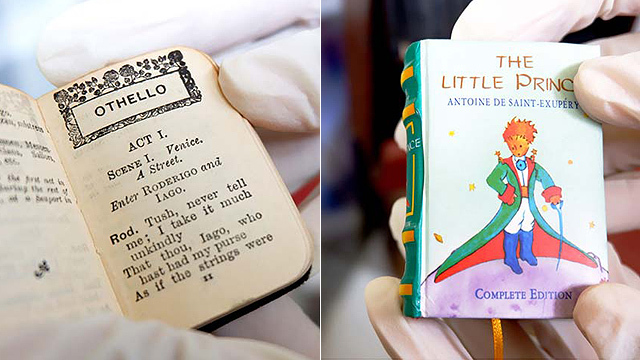 Just how important is it to have these artifacts returned to Philippine soil? We round up some facts. The Balangiga Massacre is a name used by both the Philippines and the U.S. to refer to contrary ends during the Philippine-American War. For the Americans, it was the surprise attack of the townspeople during a funeral mass at the dawn of September 28, 1901. One Valeriano Abanador, the local Chief of Police, knocked private Adolph Gamlin of Company C, 9th U.S. Infantry Regiment unconscious with a blow to the head. The church bell rang as a signal to a revolution. Filipino fighters dressed in women’s clothes grabbed their bolos from the coffins, entered the enemy's garrison, and killed 48 out of 78 soldiers. It was said to be the worst defeat experienced by the U.S. Army at the time. 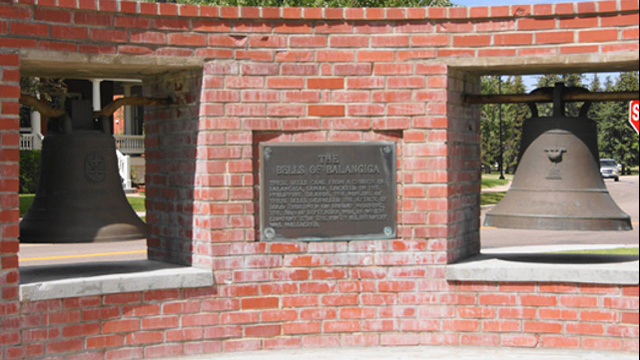 For the side of the Filipinos, the Balangiga Massacre occurred when Brig. Gen. Jacob Smith declared that the "interior of Samar must be made a howling wilderness." 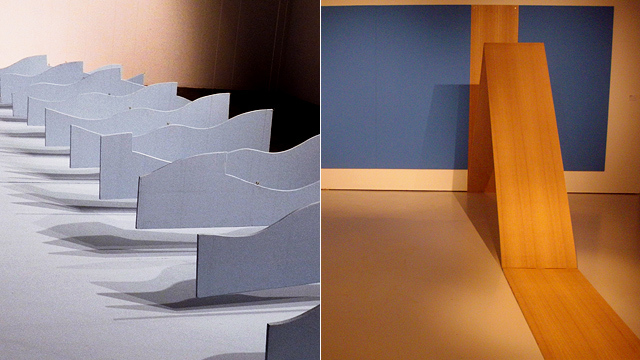 The soldiers' direct order was to kill and burn, "kill everyone over the age of 10." Maj. Littleton W. T. Waller, who was under Smith's command, was later nicknamed the "Butcher of Samar." For Filipinos, the Balangiga Bells are a symbol of the long and hard struggle for independence and the town's bravery. 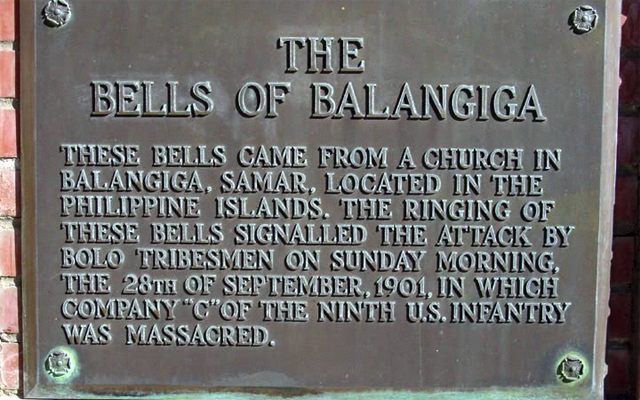 For the 9th U.S. Infantry Regiment, the Balangiga Bells are the spoils of war so they took it home when they left the town in 1902. Waller and Smith were both court-martialed for violating military discipline. Waller was acquitted while Smith was forced to retire. One church bell is at the 9th Infantry Regiment at Camp Cloud, South Korea. 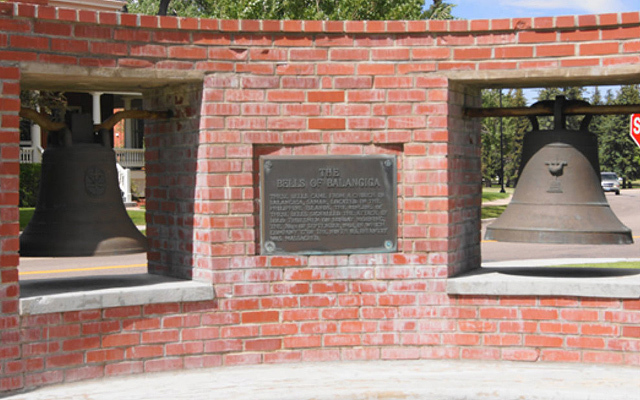 The two bronze bells are on a former base of the 11th Infantry Regiment at F. E. Warren Air Force Base in Cheyenee, Wyoming. In the '90s, former President Fidel V. Ramos attempted to recover the bells from Bill Clinton's administration. 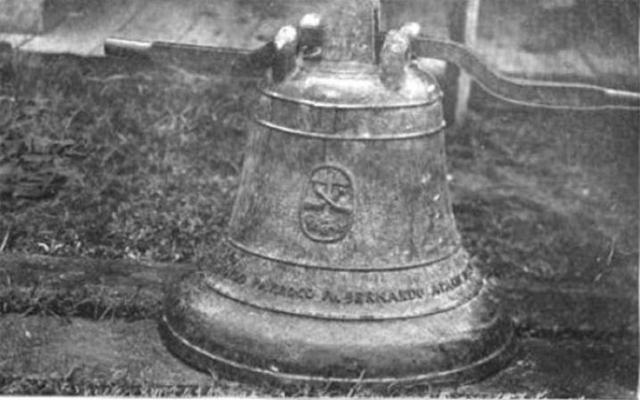 The U.S. government insisted that the bells' return to the Philippines would entail an Act of Congress. In 2002, Sen. Aquilino Pimentel Jr., urged the Arroyo administration through a Senate Resolution to undertake formal negotiations in the U.S. In 2007, Sen. Manny Villar filed a resolution expressing the Senate's desire for the return of the Balangiga Bells. Balangiga built a belfry in 1998 in the hope that the U.S. would return the three church bells. Typhoon Haiyan destroyed most of Samar in 2013 but the church survived.